Are gutter guards suitable for you and your property? Will they help your gutters stay clear of leaves, moss, and other gutter blocking material, or, will they hinder your gutters and cause other problems? There are many different types of Gutter Guard on the market all claiming to help keep gutters clean, but do they work? 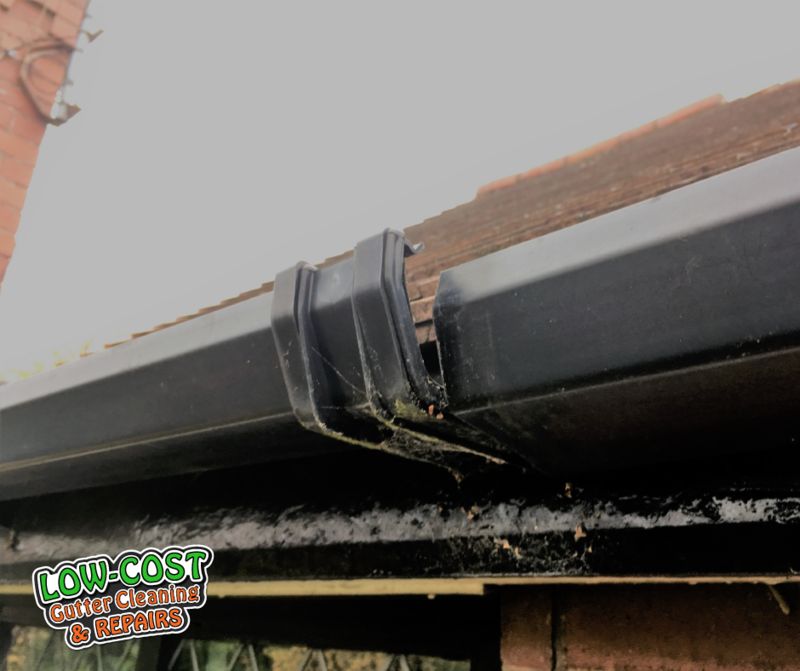 Low-Cost Gutter Cleaning has lots of experience with different types of gutter guards and will give you our expert advice. How easy/difficult it is to access the gutters? How easy/difficult is it to clean the gutters out? How often do the gutters need cleaning? 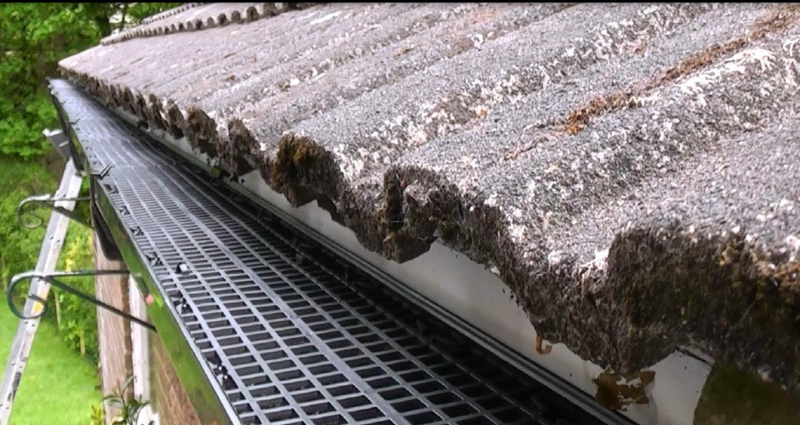 What type of debris do your gutters collect? a 3 or 4 story property with dangerous and difficult access. a conservatory or extension with gutters above with difficult access. a tree in close proximity or overhanging your property. trees nearby in your neighborhood. evidence of roof moss and lichen. a roof in poor condition, loose pointing, eroding tile and slate. limited time to clean perform routine gutter maintenance. the alignment of the gutter to the roofline. the size of your gutters, depth, width, height. the type of gutters you have e.g. plastic, cast iron, wooden, aluminum, asbestos. 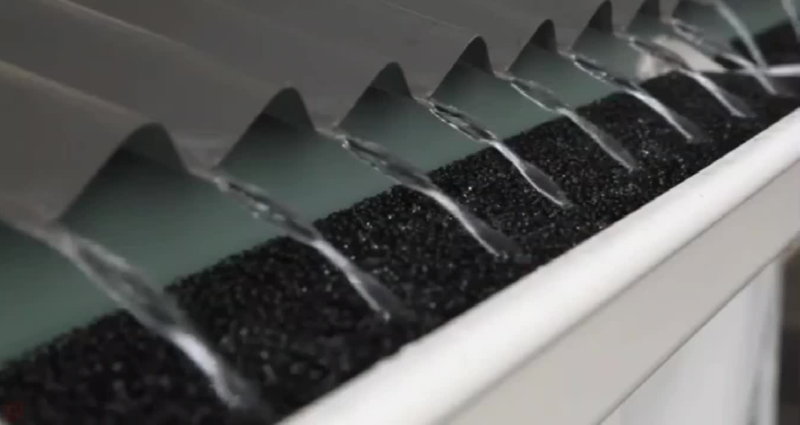 There are various types of gutter guards on the market, and a variety of brands to choose from. The four main types of gutter guard available are Grid, Brush. 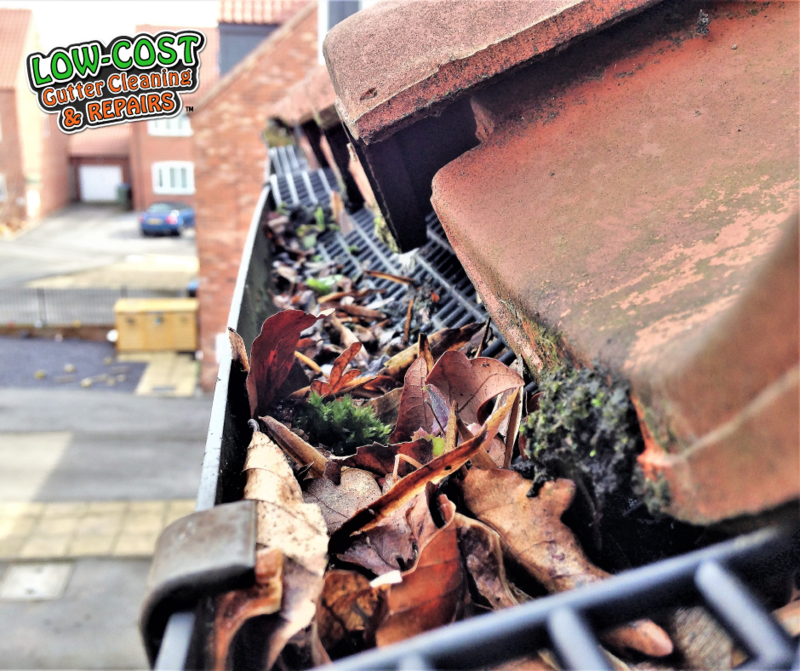 Foam and Screen, the most common and readily available in the UK is gutter brush and gutter grids. Foam gutter guard is mostly a pre cut foam insert that is designed to fit inside the gutter to fill the area. The dense foam is designed to absorb water but prevents debris from entering the gutters, which it does very well. 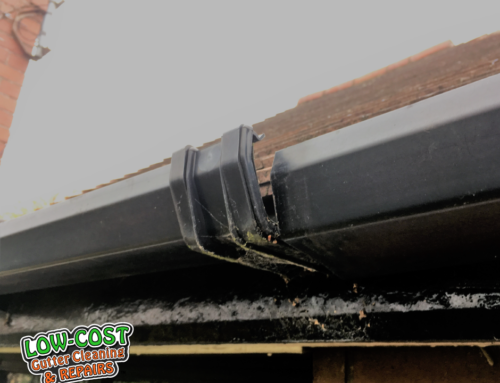 This type of gutter guard is more common outside of the UK, but if the correct profile can be found for your guttering system, It would be very quick to install and should be relatively cheap. There is one big problem! At first glance, this gutter guard idea seems to be a fantastic option, but it has a problem that has the potential to render the whole thing useless. As the foam is so dense and typically sits in the gutter flat, debris including leaves, moss, and silt can easily sit on the surface of the form creating a layer covering the top of the foam, and preventing water from absorbing as intended. This new barrier would cause water to bypass the gutters and cascade over the top of your gutters. In the UK, there are various types of mesh style gutter guard on the market, and most commonly installed on houses. The two main grid systems readily available in hardware stores it the mesh on a roll, and the interlocking plastic grids. Both types can be difficult to install and in particular, the mesh on a roll type doesn’t tend to last very long. It can be tricky getting the guard to sit nicely in the gutter and more importantly keep it there. You may need to buy clipsor use tie wraps to secure the guards into place. Unfortunately, debris can usually find its way around or through the grid, especially silt which acts very much like soil and ends up growing well-established grass plants and small trees in the gutters, and ultimately through the grid. Eventually, the gutters will probably need cleaning out again, but this time you are committed to taking out the gutter guard first, before you can clean the gutter, next you will probably need to clean and debris of the gutter guard before installing again. More frequent gutter cleaning may be ore practical in this circumstance and maybe leave the gutter guard out. 3. Reverse Curve Gutter Guard. The reverse curve gutter guard is a plastic or metal tray made with a small nose like curve at the front of the guard. 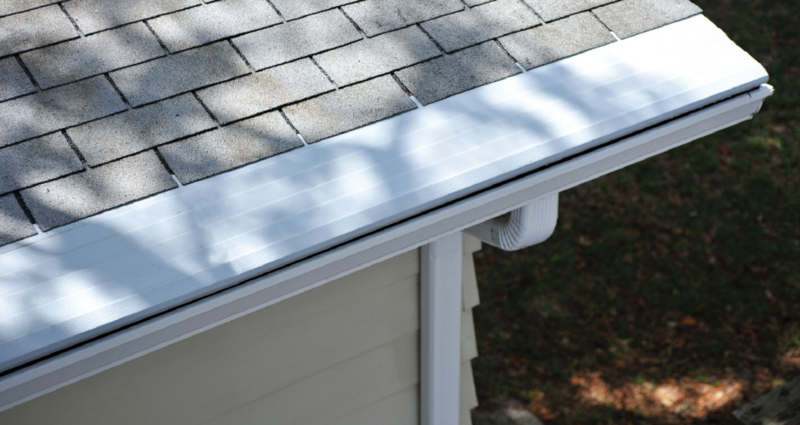 The curve is designed to enable water to follow its contour, drip into the gutters, and push any debris off the end of the gutter. This type of gutter guard is more popular outside of the UK and may be difficult to source the correct profile for your gutters. The tray is designed to dramatically reduce the gutter opening that can accept water, with the intention to prevent any debris from falling into the gutter. Again, this has three potential problems. 1. Debris can still find its way into the gutters and cause blockages, 2. debris could plug the gap, preventing water from entering the gutter altogether, and three, in the more intense rain, rain water may struggle to enter the gutter and overflow. 4. Gutter Brush Gutter Guard. The best gutter guard that we have found in the UK is Gutter brush. It is super easy to install, is suitable for most gutter types and is versatile. Gutter brush usually comes in 4-meter lengths and is relatively cheap to buy. The gutter brush is versatile and can be used in gutters, some valley/box gutters, and channel floor drains usually found at garage entrances. 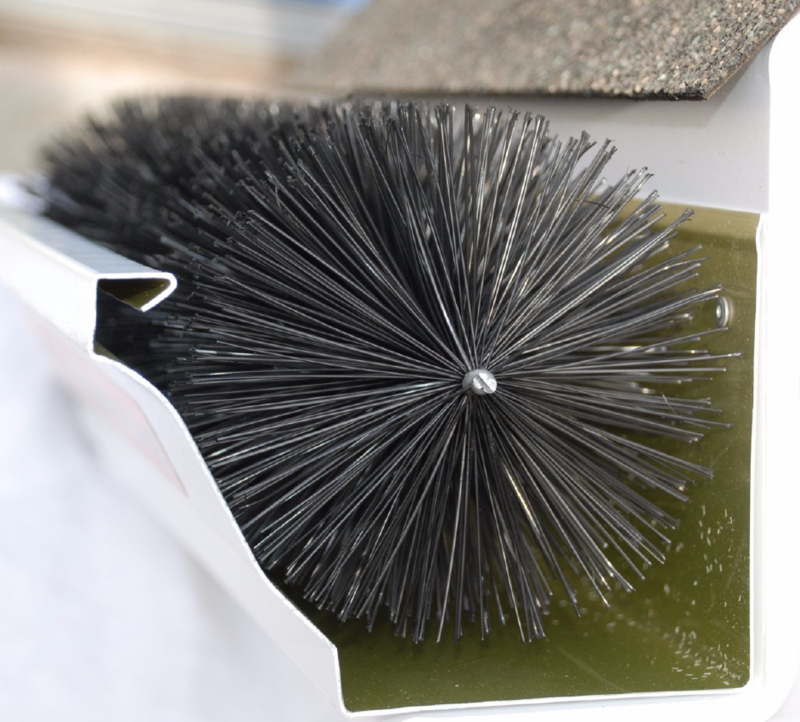 The gutter brush is designed to sit inside the gutter in which the roof tiles usually hold it sufficiently in place, however, in some circumstances, it may be required to purchase clips which are usually sold separately to hold the gutter guard into position. Tie wraps are an alternative option which will hold the gutter brush in position nicely. The gutter brush allows water to drain into the gutter effectively but prevents large debris which may either get pushed or blown over the top of the gutter. With this said, this gutter guard will not stop everything from getting into your gutters and will still need cleaning out on occasion but hopefully will reduce the frequency of gutter cleaning. It is particularly suitable if your property is in close proximity to deciduous trees usually blocking gutters on a frequent basis. When gutters do need cleaning, remember that you will need to remove the gutter brush to be able to clean the gutter before reinstalling. In most circumstances, gutter guards are probably going to be more of a nuisance than a benefit. Regular gutter cleaning is more than likely going to be your best option as gutters can be cleaned out using gutter machines quickly and easily from the ground without having to use ladders or other access equipment. It’s always worth considering using a gutter cleaning professional who will have the right tools and equipment and the experience need to complete the work properly.